Their online record was poor, they had no prior LAN experience, and they were playing on CS:GO’s biggest stage. There are few questions that generate greater controversy, heated debate, and mind twisting implications than “what if?” Esports history is no exception. 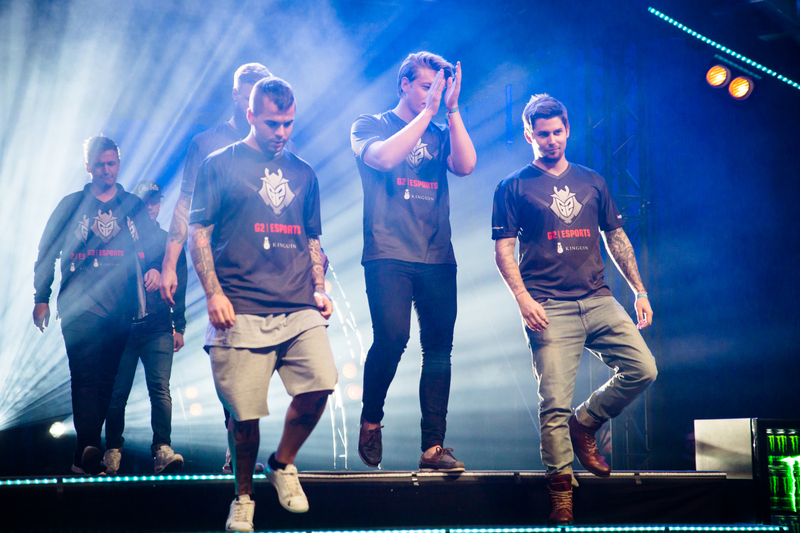 Take G2’s run to the semi-finals of Dreamhack: Cluj-Napoca 2015, for instance. It’s one of those “what if?” moments that are shrouded by the relatively untold nature of the story itself. To first understand their run, you must come to grips with the experimental and near-impossible nature of the roster itself. On May 5, 2015, Kinguin announced the baffling line-up of ScreaM, Maikelele, rain, fox, and SKYTTEN (who was replaced by Dennis shortly after the team’s creation). Portugal, Sweden, Norway, and Belgium—this was a European soup of former stars, big personalities, and latent upset potential. In the minds of most analysts, they posed an imposing hurdle to overcome online. But on LAN, they could be easily handled over series play due to their inferior map pool and team cohesion. In their time as Kinguin, LAN was a constant point of struggle and the team was rarely consistent. Their only notable result was a first place finish at Gaming Paradise, which meant almost nothing given how poorly the event was cobbled together and organized. This underperformance relative to the fans’ expectations and self-imposed goals led ScreaM to leave for Titan shortly they joined G2 Esports.He was replaced by young Norwegian talent – jkaem. With the roster of rain, Maikelele, jkaem, dennis and fox, they had one month to prepare for the upcoming major, Dreamhack: Cluj-Napoca, with official online matches and a one week boot camp. Although they boasted “legend” status from their quite lucky run at Cologne, in the eyes of many analysts they could hardly live up to that actual title. The team’s communication seemed to be the most apparent issue. English was used 90 percent of the time as the calling language, with the other 10 percent being Swedish/Norweigan. This heavily implied that G2 was hardly operating off the most strategy-heavy playbook, and that’s because in reality they weren’t. Fox, dennis, and Maikelele were washed up former CS:GO stars, while rain and jkaem boasted a flaccid resume with occasional flashes of potential in-game. Their online record was poor, they had no prior LAN experience with this group of five, and they were playing on CS:GO’s biggest stage. In order to have any success in Cluj, a confidence-driven playstyle was key. They needed the momentum that confidence brought to unlock their Bo3 potential, especially playing on maps which weren’t favored. If they couldn’t out manoeuvre opposition with macro play, they would definitely try to use superior skill and basic smokes to brute force a win. Fortunately for G2, they found confidence, and in spades. Individually, every member could point to a game where they played above and beyond. Whether it was dennis’s pistol play against Virtus.pro or rain against mousesports, the talent of the side was deep and obvious. Through their constant pressure across the map and individually stacked roster, they duelled their way to the semi finals of Dreamhack: Cluj-Napoca against all odds. Their fairytale run was doomed to fail here however, as they now faced the blazingly hot and in-form EnVyUs. Much like G2, EnVyUs were a team who relied on the immense individual talent of their players to get wins. They force bought in a similar fashion to G2, and played the same confident, blase T-sides that could catch teams off-guard, especially if Happy’s mid-round calls were on point. Essentially, G2 vs EnVyUs was the Counter-Strike equivalent to a game of a chicken. On-paper, EnVyUs would destroy G2. Man-for-man they could outclass the mix-team with an array of experience, superior talent, and a more refined approach to the individual, loose style of play. The only thing that could possibly be measured in G2’s favor was the shared map pool. The similar map goals of both nV and G2, meant that Dust II, Inferno, and Cache would be the three selected during the veto (in that order too). After a convincing win by G2 on Dust II, the second map lined up was Inferno. This second game oscillated constantly, neither side was willing to play with finesse or grace. It was an all-out slug fest between 10 of the most talented individual players in the world. Both teams traded blows on either side of the map like two elite boxers fighting by only moving forwards. The game went into three overtimes before EnVyUs edged it out to take the map and tie the series 1-1. After three overtimes, G2 were shattered, they were easily finished on the final map of Cache and nV proceeded to go onto the Grand Finals, facing and then beating Na`Vi in convincing fashion and winning their first ever Major title. So what would have happened if G2 beat nV 2-0 in the semis? They would’ve then gone onto face Na`Vi in the grand finals as well. A Na`Vi that was susceptible to the power of force buys and high individual skill—as shown in their loss against nV. Ignoring the important element of the veto, stylistically, G2 in their high level of form would have a favorable match-up against Na`Vi. While the series would’ve been closer than nV’s 2-0 of Na`Vi, G2 would’ve had a real shot at potentially closing it out 2-1 if the map draw went their way. Or in other words, had just a couple of rounds turned out differently, G2 had a chance of winning a Major. What would this Major win meant for G2 moving forwards? Hard to say. For starters, another second place at the Major for nV might’ve resulted in the 2017 French Shuffle happening early in 2016. Thorin has said that the move had been planned since DreamHack Malmo of 2016. The proceedings might’ve gone smoother had the nV players not had the bargaining power of being Major champions on their side. As for G2 themselves, the org might’ve held onto the line-up longer and not have sold to FaZe, potentially leaving ex-Titan without an organization for longer. Notably, being Major champions and having continued solid performances would see the stock value of both Maikelele and dennis moving forwards. This would be especially important headed into 2016 as they would be better able to posture for the soon to-be open spots on NiP and Fnatic. Opinionated speculation aside, their actual performance in Cluj showed that the idea of mix-teams going deep into tournaments was a reality. Their accomplishment (and near greatness) was an important event in shaping how we viewed teams of mixed nationality and laid the groundwork for the core roster to eventually be picked up by Faze Clan. The ripples caused by events like these directly affect the moves happening today, whether the average fan notices them or not.